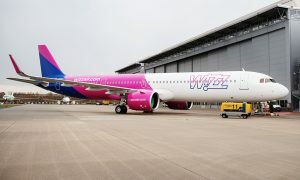 Wizz Air celebrated today the handover of the maintenance hangar built by Budapest Airport. The maintenance hangar represents an investment of almost €3 million and will help create over 70 additional jobs for skilled engineers. 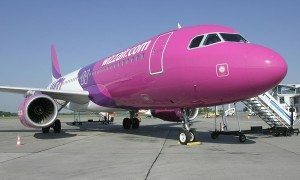 Wizz Air and Budapest Airport, signed a 15-year lease agreement for the newly built line maintenance hangar in June 2014. The 2000-square-meter hangar and 200 square meter service facility can accommodate a single aircraft including the first Airbus A321 models that will start arriving to the airline’s Budapest fleet from November this year. Line maintenance and minor repairs required in the course of daily operation will be performed in the new hangar. The airline also announced it will expand its operations in Hungary next spring by adding a tenth aircraft to its Budapest base. The new aircraft will be delivered in March 2016 and support new service from Budapest to Baden-Baden and Nice beginning in mid March with two weekly flights each. 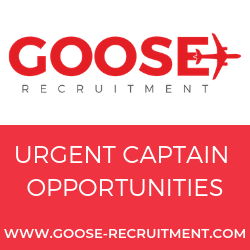 The airline also announced a frequency increase on its existing route from Budapest to Gothenburg in the peak season, as well as extended the operation of three weekly flights on Budapest – Malta service to the off-peak season. 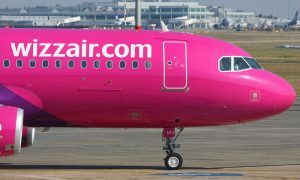 With this expansion, Wizz Air now offers a total of 44 routes to 21 countries from Budapest.